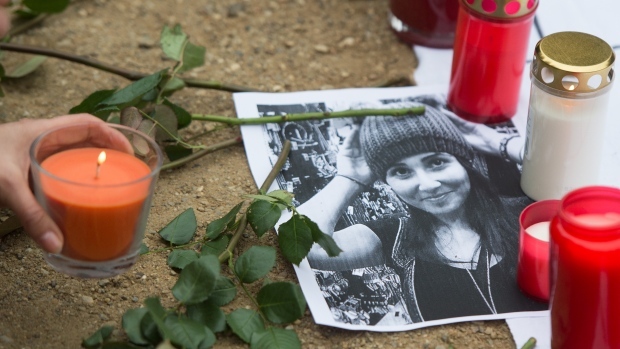 Thousands of German citizens are mourning a 23-year-old student who was murdered for sticking up for two teenage girls getting sexually harassed by a group of men. Silent vigils have spread across the country, and the president is considering awarding the young woman a posthumous medal of honor. Earlier this month, Tuğçe Albayrak heard the screams of two girls being harassed in a McDonald’s bathroom in the city of Offenbach. She confronted their attackers, allowing the teens to escape the situation. But later, in the parking lot of the fast food restaurant, the same men attacked her and allegedly beat her with a baseball bat — an assault that was captured on grainy video footage. Albayrak suffered a traumatic brain injury from the blows to her head, and has been in a coma for the past two weeks. After doctors told her parents that she would never recover from her injuries, they chose to take her off of life support on Friday. It was her 23rd birthday. Folks are petitioning Germany’s president to posthumously honor Albayrak with a medal of merit. In the president’s words, “Where other people looked the other way, Tuğçe showed exemplary courage and moral fortitude.” But we should not live in a world were it takes bravery to stand up for our — or others’ — right to exist in public unharassed. A man shouldn’t get stabbed nine times for asking men to please stop catcalling his girlfriend. Mary Spears shouldn’t be killed for declining to give a man her number. We don’t need to turn the Tuğçe Albayraks of the world — ordinary people who saw a fucked up situation and acting on their entirely ordinary human impulse to stop it from happening — into extraordinary heroes. Instead, we need to really reckon with how we’ve allowed a culture of toxic masculinity and entitlement to women’s bodies to run rampant and unchecked. Every person that looked the other way — every person that’s ever looked away — is complicit in perpetuating a culture in which people die for acting on the bare minimum standards of decency that most of us claim to believe in.